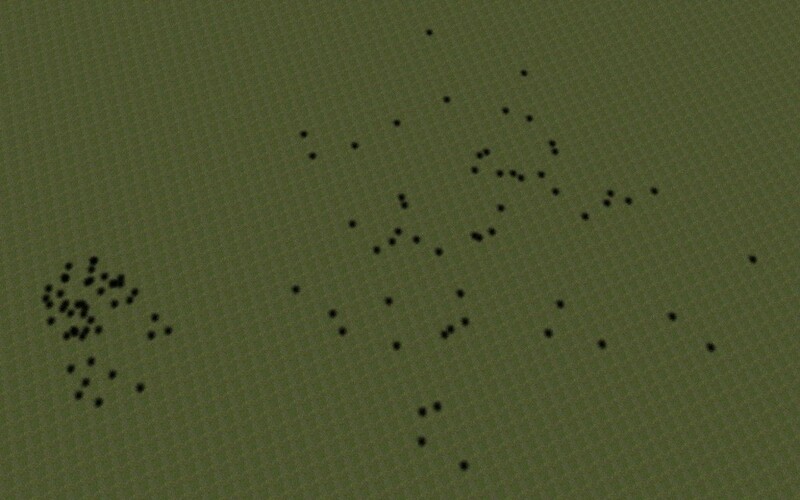 This is the full and (hopefully) final version of my former Clusterbomb Cannon SWEP. It's a handheld launcher for shooting clusterbombs. You can either use primary fire for a high-powered shot, or secondary for a low-powered shot. Secondary is best for if you are hovering over your target with noclip. 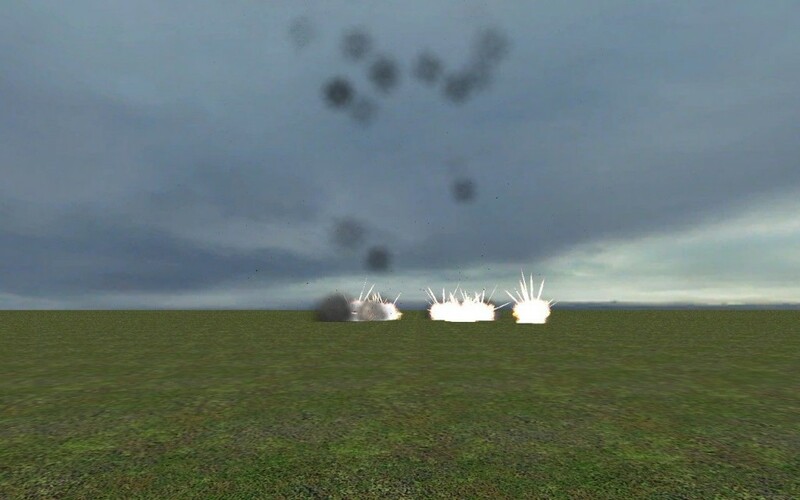 It creates 64 bomblets per shot, through a series of separations: the main bomb separates into 8 canisters, which then split into two smaller canisters, which each release 4 bomblets. 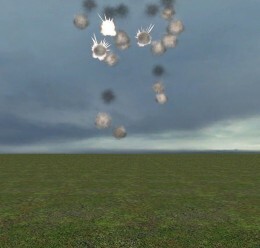 Unlike the Beta version, you can shoot this while moving forward, even while running. However, don't fire at an angle below horizontal, or you will get hit by the bomb as it comes out. 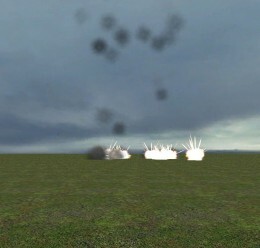 It now includes the models for the bomb, bomblet, and the sounds used. 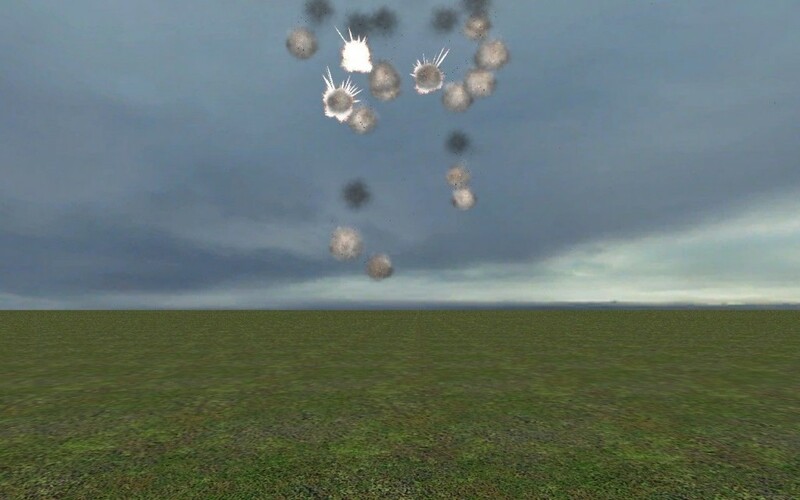 Comparing new grouping(left) to old grouping, when bomb is shot straight upwards. 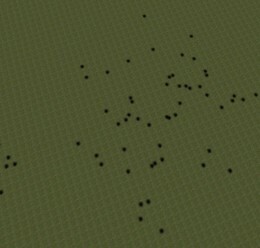 making something that can to on an airplane that spawns these bombs. Elite for his thrower weapon, which I modified to be my bomb launcher.